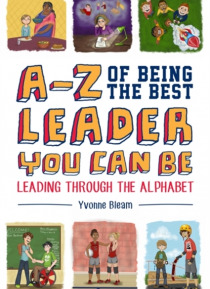 Meet Alex the accepting leader, Olivia the open-minded leader, Tyson the trustworthy leader and the rest of the gang and understand the qualities of good leadership in this collection of short stories.Not your average A-Z, this book aims to teach young people aged 8-11 about what it means to be a good leader. From honesty and respect to understanding and dependability, each of the 26 stories cover… s a quality that any good leader should possess and is followed by fun activities and exercises to help children learn the true meaning of each concept. Building positive leadership behaviors in children, this book will be of interest to educators, school counselors, pastoral care workers as well as parents.